Roubenka Zelenka - Orlické Záhoří. 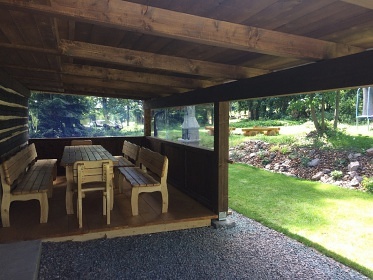 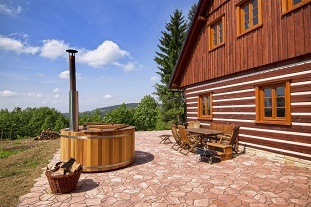 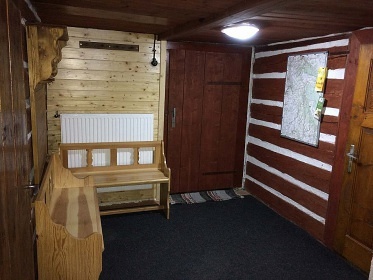 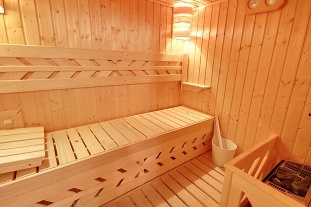 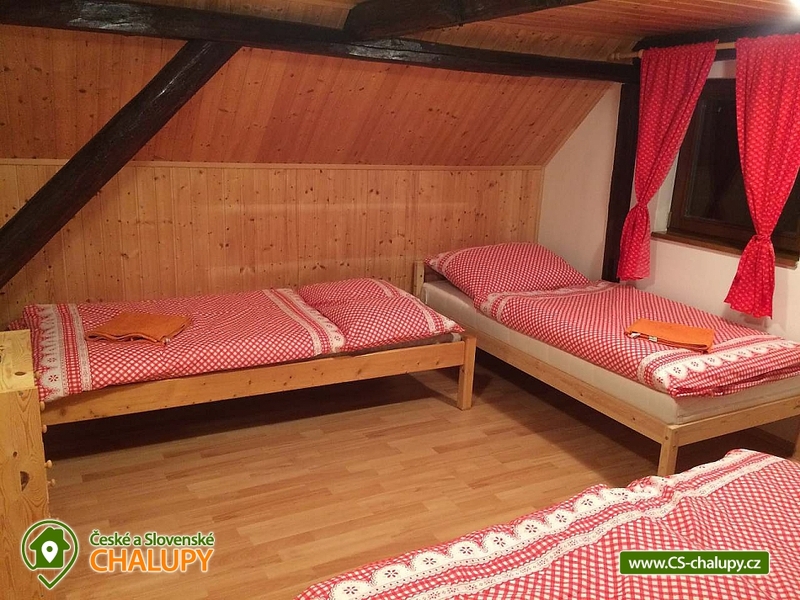 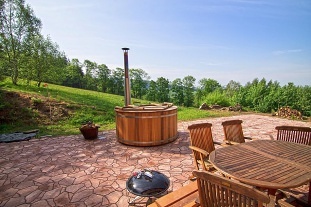 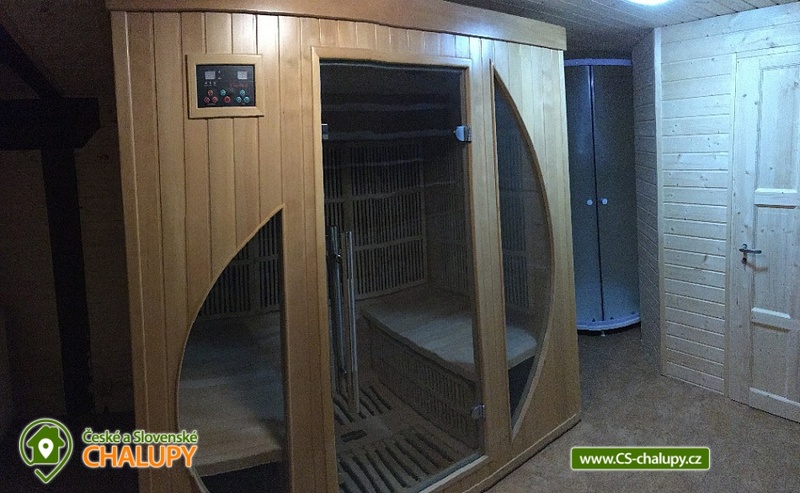 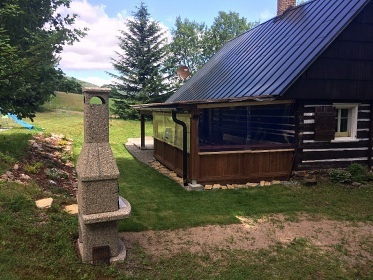 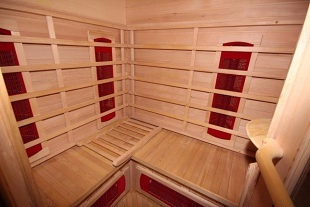 Rent cottage Zelenka with infrared sauna in the village Orlické Záhoří - locality of the villages Deštné v Orlických horách (7 km) and Říčky in the Orlické Mountains (12 km). 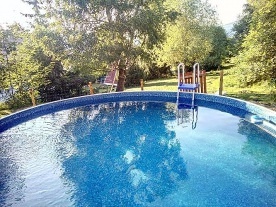 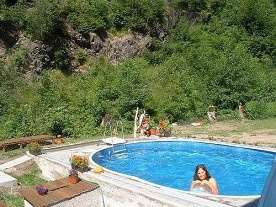 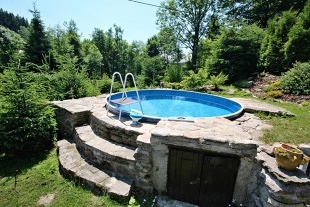 The cottage for rent provides accommodation for 4 to 14 persons in 3 bedrooms. 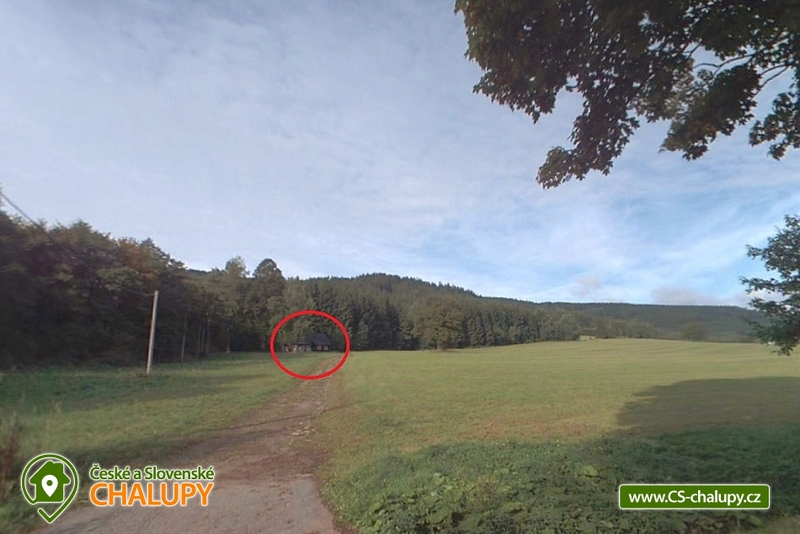 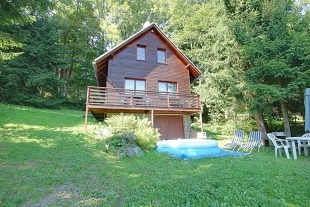 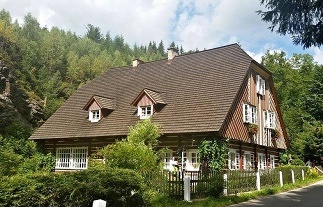 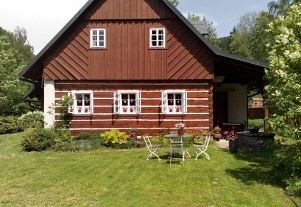 The cottage is situated near the forest in Orlický Záhoří - part of the village Zelenka, the cottage is 450 m from the Bedřichovka Ski Resort. 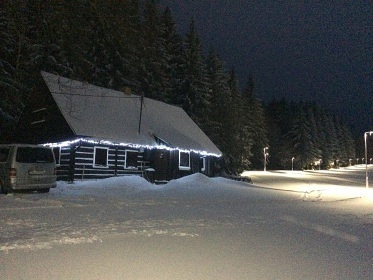 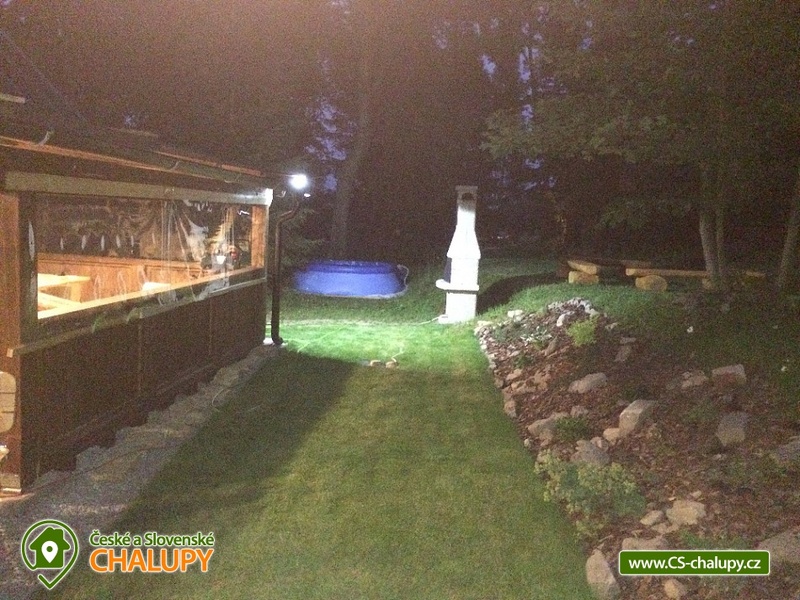 A new illuminated cross-country skiing trail runs around the cottage. 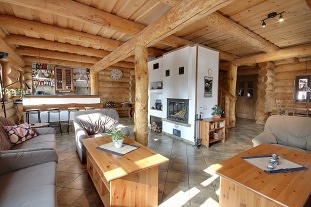 The building has a large stylish lounge with fireplace, equipped kitchen, TV, satellite, WiFi. Rooms: On the ground floor there is one room with a double and bunk bed. 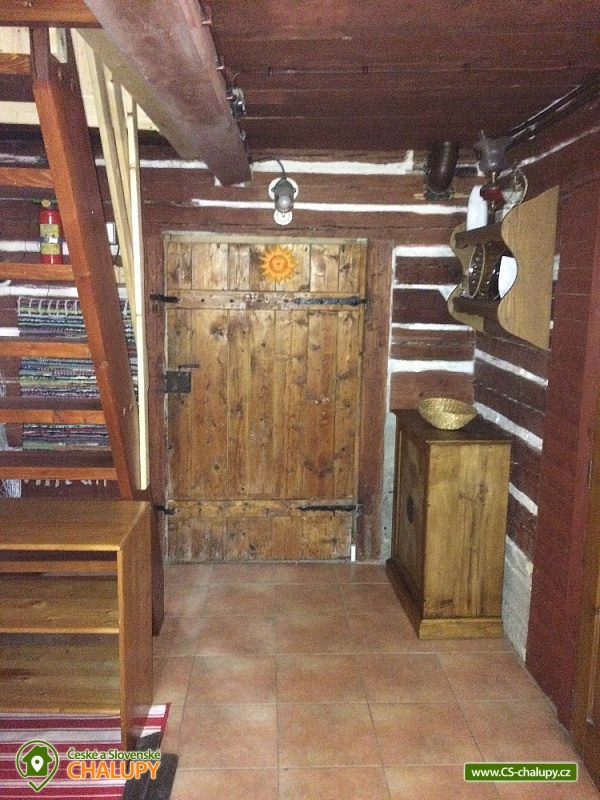 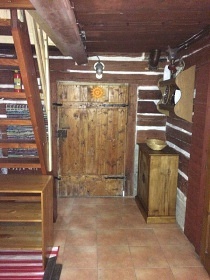 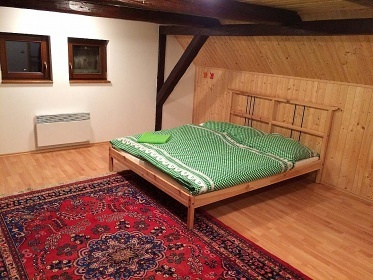 In the attic there are two rooms with four beds of which there is one possibility of two extra beds. 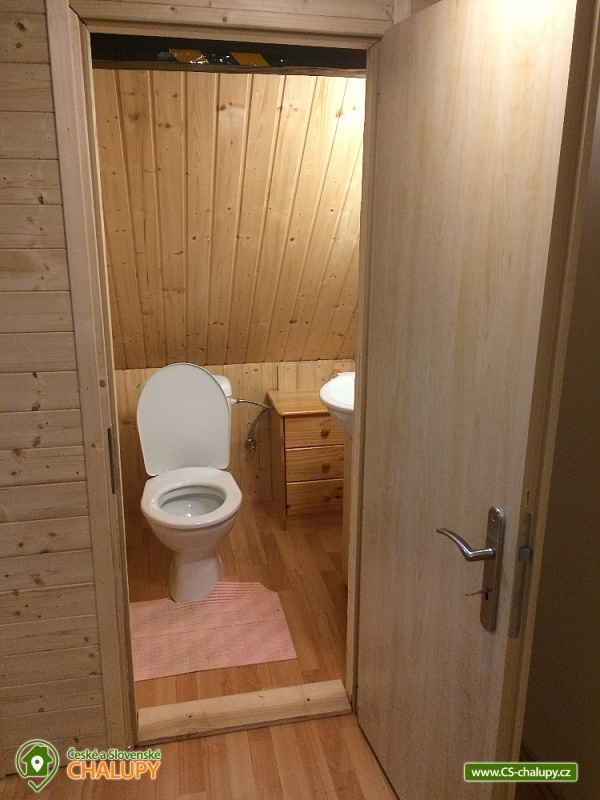 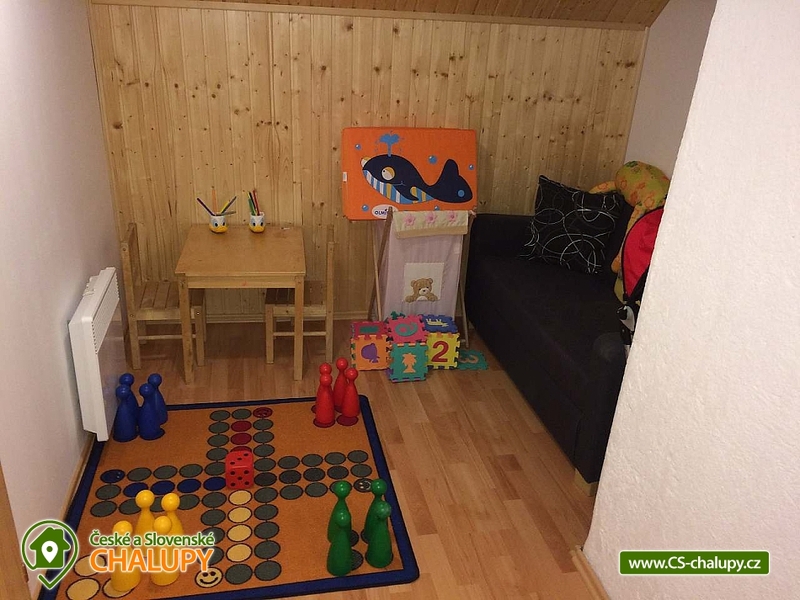 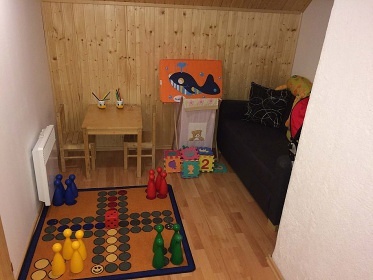 There is also a toilet with a sink and a children's corner in the attic. 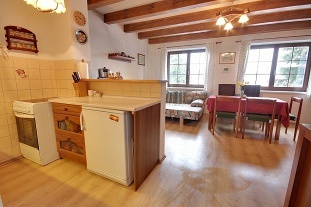 Fully equipped kitchen for the number of persons / refrigerator with freezer, electric stove with oven, microwave, kettle. 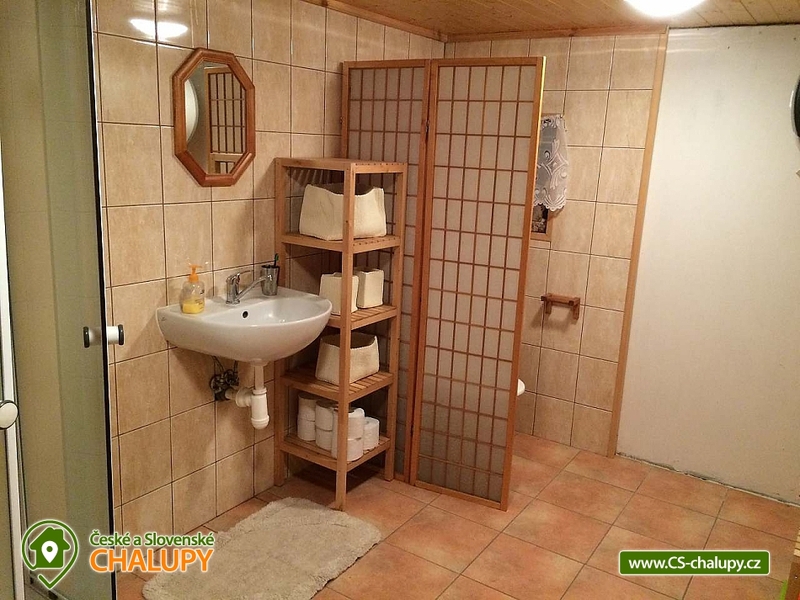 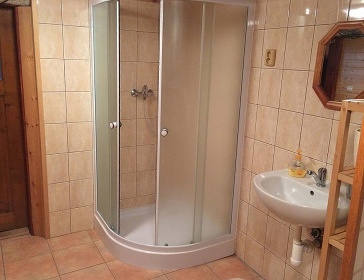 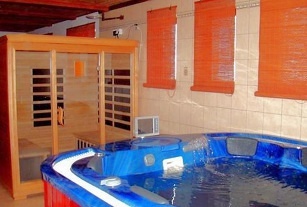 Sanitary facility: Ground floor, bathroom with shower, toilet and washing machine, from winter 2019 available infra-sauna. 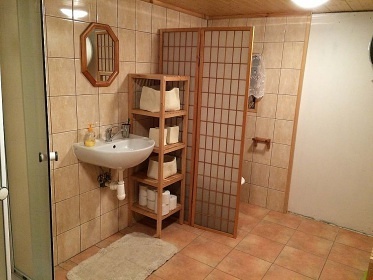 In the attic WC with washbasin. 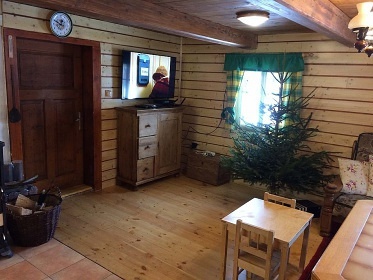 Heating: Fireplace stove with exchanger - ground floor, in the attic of the electric heater. 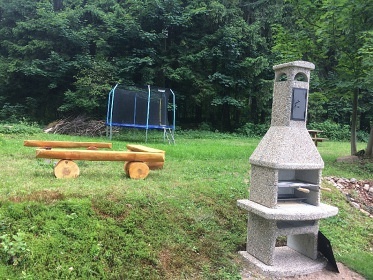 Parking right by the cottage. 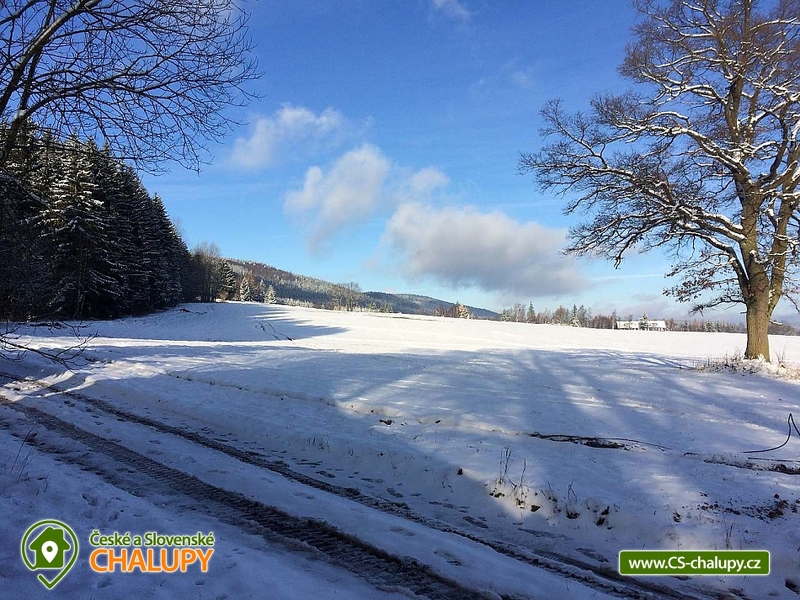 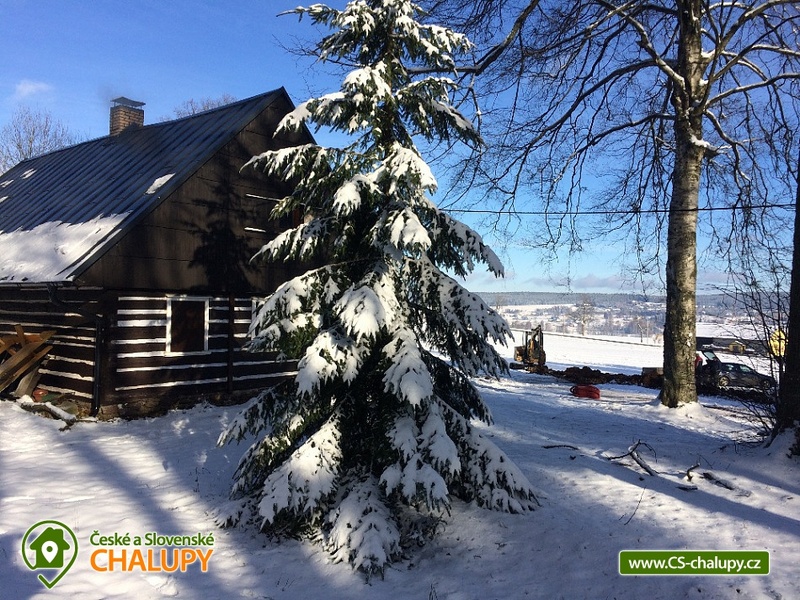 Nearby: Downhill skiing and snowboarding. Ski resort Orlické Záhoří - Jadrná - distance from the cottage approx. 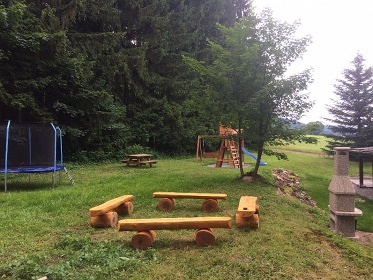 800 m, 300 m long ski slope maintained by a roller, suitable for snowboarders, experienced skiers and for families with children, day and evening skiing, refreshments in the area, ski service. 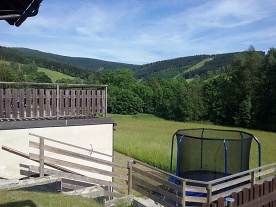 Ski resort Orlické Záhoří - Bedřichovka - distance from the cottage approx. 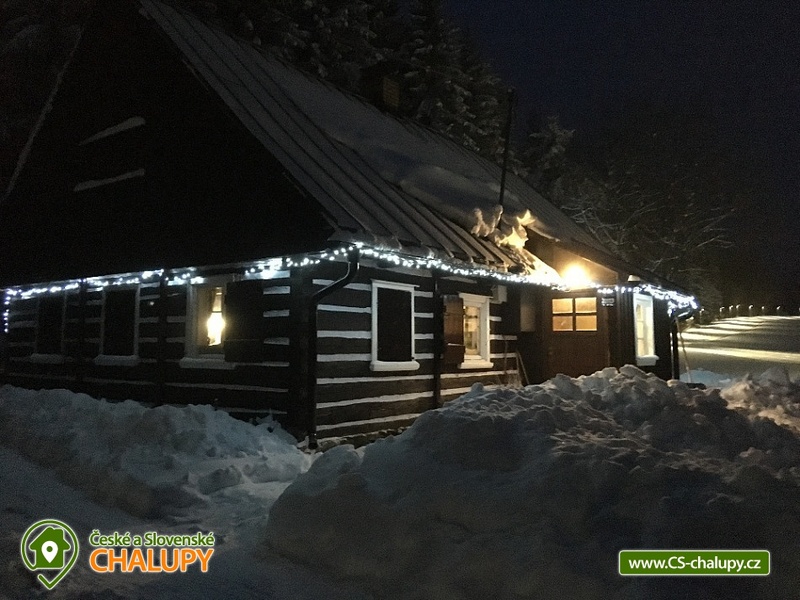 450 m, 500 m long artificial snow-covered slope maintained by a snowmobile, experienced skiers and for families with children, day and evening skiing, children's ski lift and ski school, parking and snack in the area, ski service. 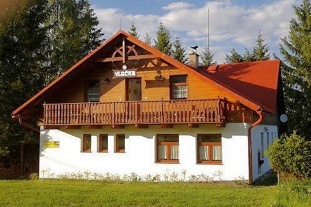 Ski resort Orlické Záhoří - Černá Voda - distance from the cottage about 5.5 km, 800 m ski slope maintained by rolbu, snow park, U - ramp, suitable for snowboarders, experienced skiers even for families with children, daytime and evening skiing, parking and refreshments directly in the area, ski service, ski rental. 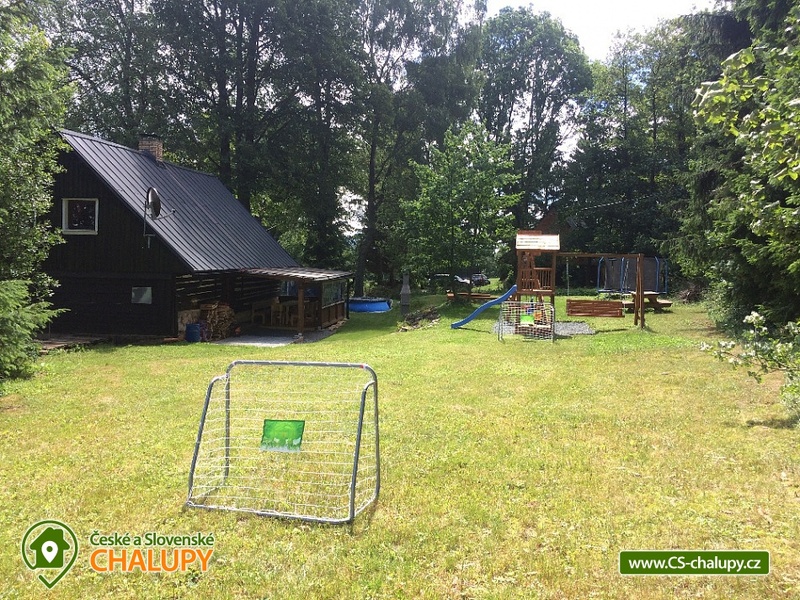 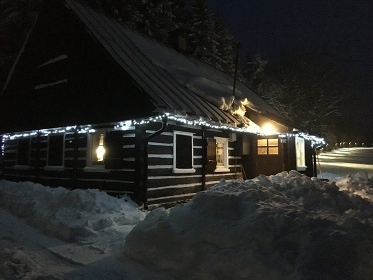 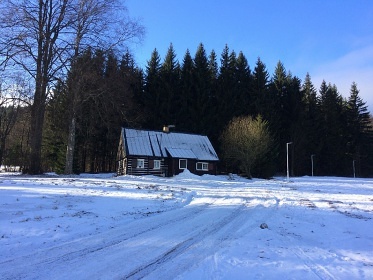 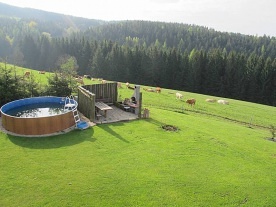 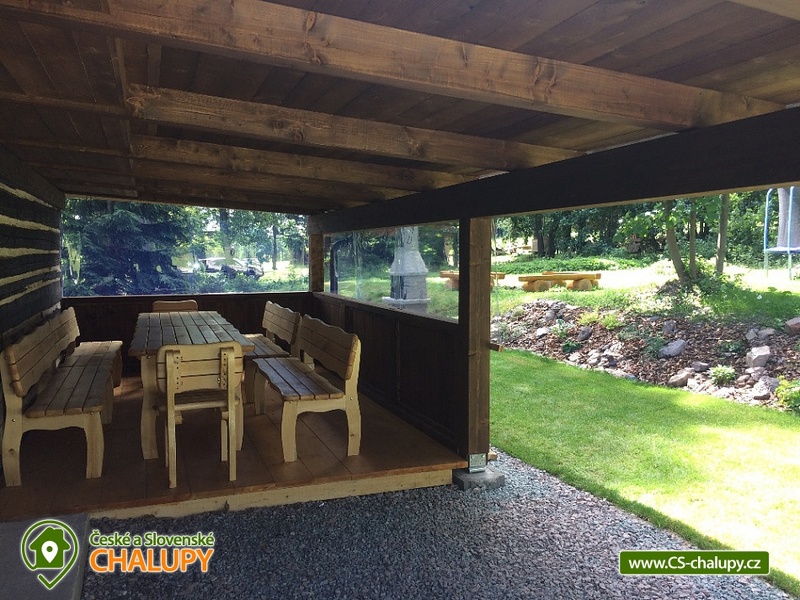 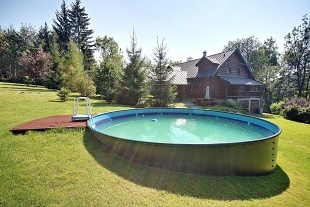 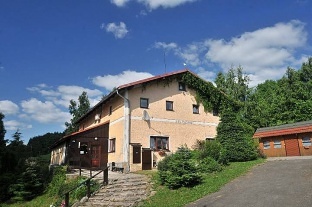 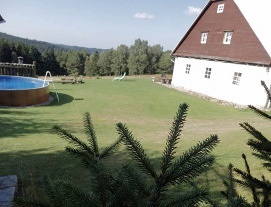 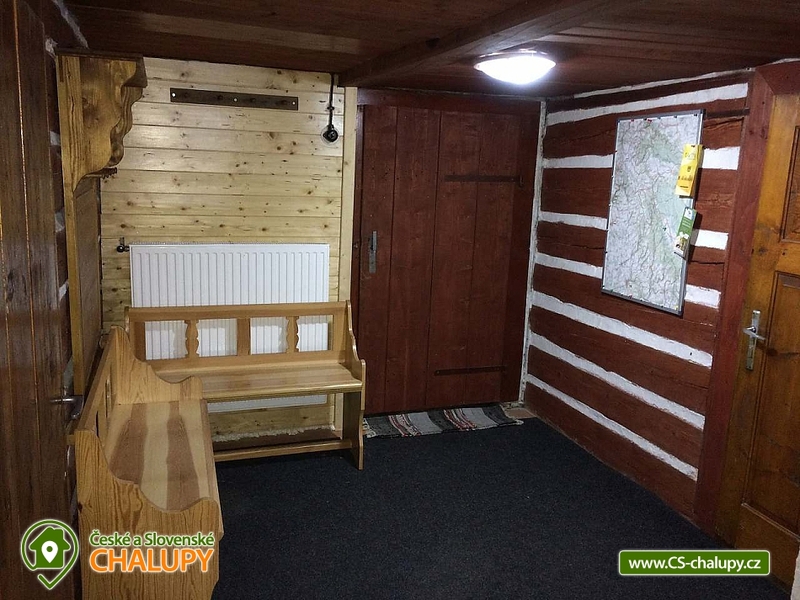 Ski resort Zieleniec / Poland /, Masaryk chalet - modern ski resort, distance from cottage about 5 km, extensive ski and snowboard complex with a wide range of slopes and ski lifts, four-seat chairlift, day and evening skiing, parking and refreshments in the area, ski service , ski rental. 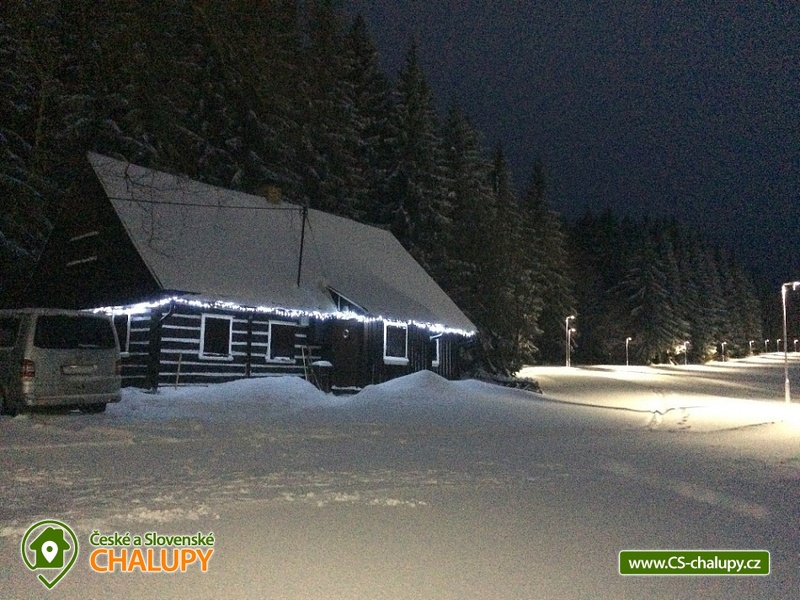 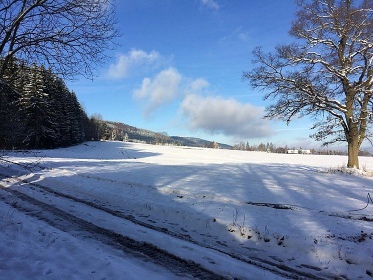 Cross-country skiing: In front of the cottage there is a new cross-country skiing area and many other cross-country skiing tracks. 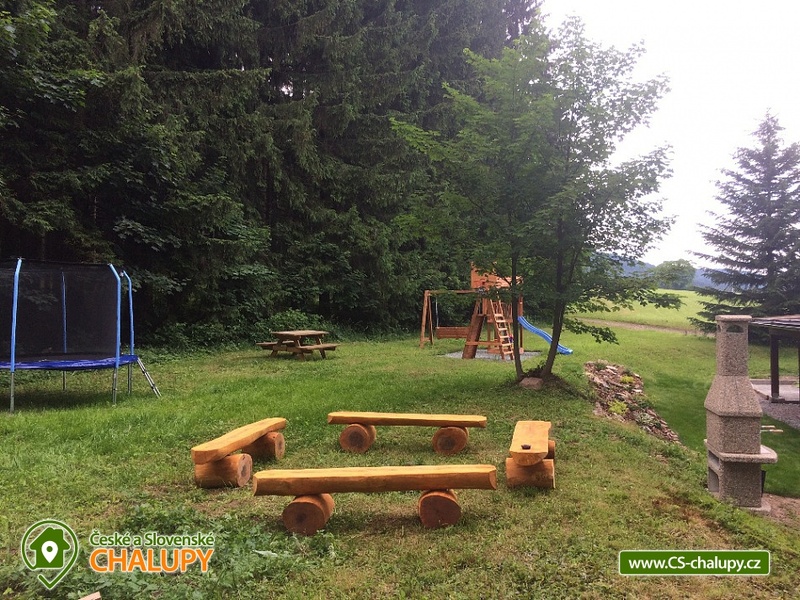 Summer sports and activities: Biking, Hiking, Rope centers, Fishing, Mushrooming. 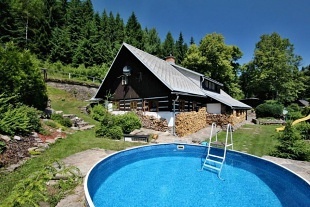 Swimming: Deštné v Orlických horách. 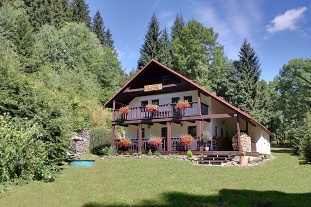 Nearby ski resorts: Říčky in Orlické hory, Orlické Záhoří - Bedřichovka and Orlické Záhoří - Jadrná. 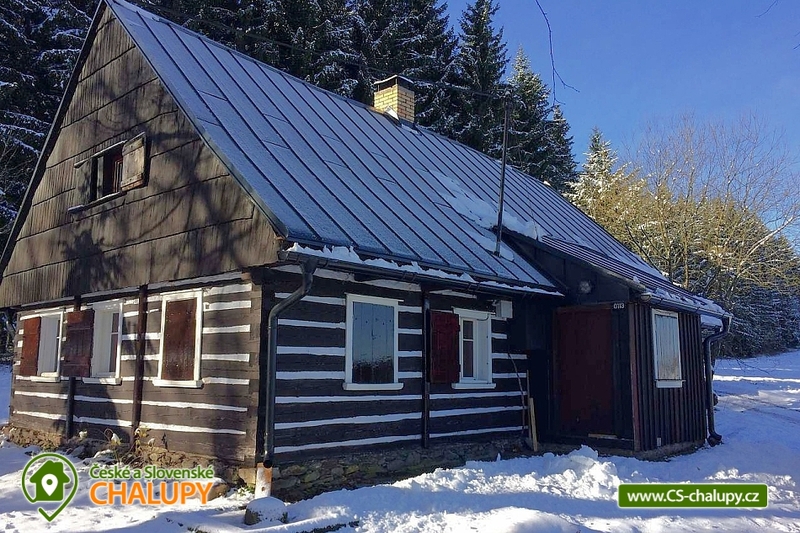 Additional information Cena ubytování na jiný počet dní a osob dle dohody.